Welcome to another post in my Etude House Enamelting saga! For this episode, I used shade no. 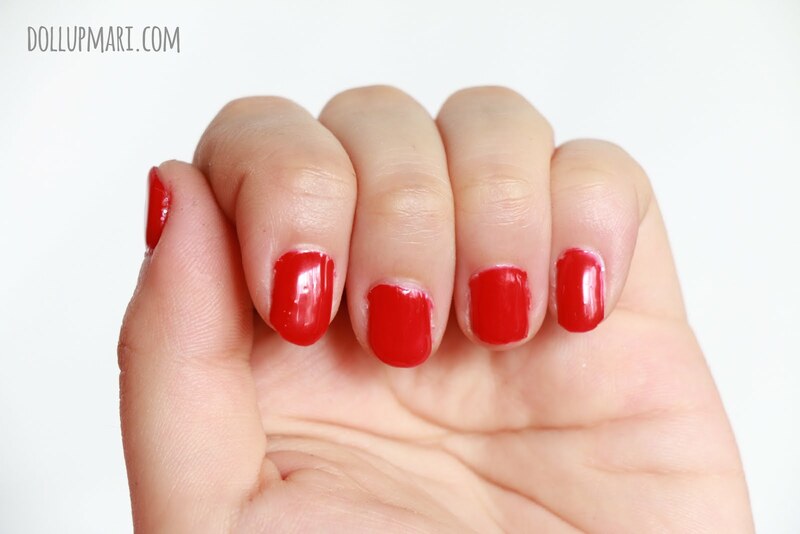 6, or perhaps the most beautiful bloody red in the Etude House nail products portfolio. This is really where the benefits of gel come to life because the color is so loud and it's so disruptive to life (as in people stare at my nails because the color is so attention grabbing). Unlike my previous posts where I blogged about shade no. 8 (a light lilac color) and shade no. 22. (a salmon pink color), this is the time when the benefits of gel really shine through. One of the main benefits people like about gel is that the polish looks bolder and more vibrant compared to normal polish. Since gel is waaaaay more opaque than typical nail polish, the colors are more solid, which is why you can enjoy loud colors like these more than if you used typical polish. I won't say much anymore because I just want to show how loud and pretty it is. That's all.